(1) God will use failure to get your attention. Peter was tired, empty-handed and disappointed when Jesus spoke to him. And He will speak to you through a rocky marriage, a child you’re about to give up on, or a job that seems too hard. He doesn’t want you to run from your problems, He wants you to learn from them; to discover the difference He can make in your situation when you invite Him into it. When you start giving God glory and letting Him arise in your life, you can’t stay defeated. Your enemies will be scattered! They’ll tremble at your words of faith. Begin right now by declaring God’s goodness in your life and let Him arise so that you can move forward in the victory He has for you! This entry was posted in WALTER'S WEB on November 30, 2012 by WALTHOPE. Jesus Christ, the Word, is the same yesterday, today and forever! His riches and resources are unlimited. We are not to allow people to deceive us but rather rely on Christ and trust Him to meet our needs. There has been given to us exceedingly great and precious promises as part of our inheritance that we can benefit from. King David said , The Lord is my shepherd, I shall not be in want (Psalms 23:1). This means that David had absolute security in God. No matter the need, his supply was guaranteed. He did not see a limit in God. Likewise, we should see not limit in God. As the Lord is our shepherd, we shall not want. We are to ask God what we will and He will do it because He loves us so much. He has promised to do whatsoever we ask in Jesus name. We can come to His throne boldly and He will hear our prayers and He will deal with our concerns. His Presence – God is always with His own. He has commanded them to be strong and of good courage and not to be afraid, nor be dismayed. For the LORD their God is with them wherever they go and His presence goes with them to give them rest and victory. His Promises – Every promise and every line in the bible is theirs including that no weapon which is formed against them shall prosper and those who rise against them shall become a nonexistent thing. His Person – God is a Good God who is for them, with them and not against them. He is on their side no matter what they are facing. There is no searching of His understanding. His ears are open to their prayers and His eyes are upon the righteous to bless them. His Power – When God’s true ones have His presence, promises and power they can trust Him to use His power for their good in all kinds of circumstances and situations. Just like God did for Jesus on Calvary when He raised Him from the dead, gave Him victory over all His enemies and seated Him at His right hand. His Protection – God is the shield and exceeding great reward of His true ones, as well as He is their rock, refuge, strength, tower security and inheritance. He will bless and promote His own and He will deliver and honor them. His Provision – God has promised to meet and supply all their need according to His riches in glory by Christ Jesus and He unlike others is able to keep His word. His Prosperity – God is not poor or stupid and neither should His children be. He is their security and inheritance and provision in the deserts of life. 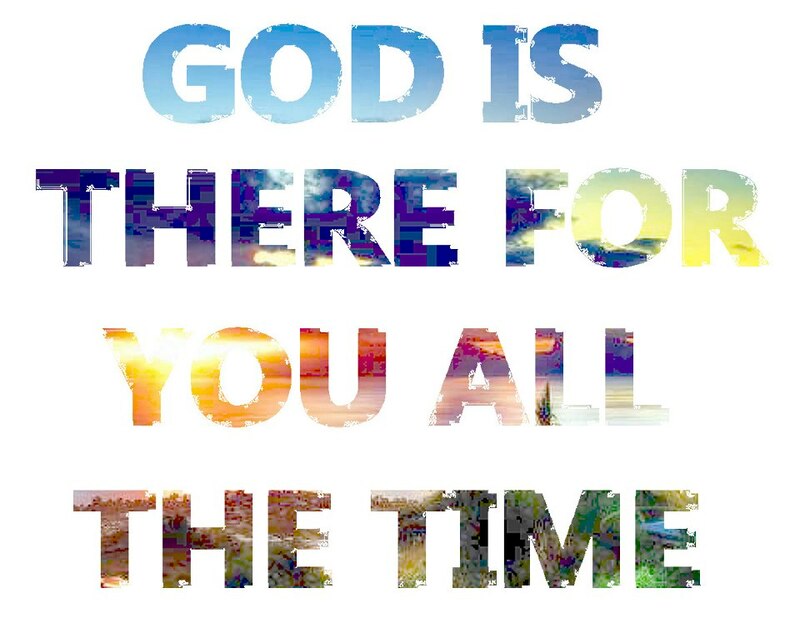 He is their hiding place! He will move out every mountain and deal with every enemy and dispel every lack in their life. Their prosperity will come upon them as the dawning of a bright and new day. They will not be able to contain their joy and ecstasy at the provision and security He is providing. He will multiply back to them a hundred fold all they have done for Him. His Providence – The steps of a good man are ordered by the Lord and though he fall God will not allow him to stay down but will lift him up. His Promotion – God has promised that for those who set their love upon Him He will deliver them and set them on high because they have known His name. He has promised to make them head and not tail and above and not beneath. They shall call upon Him and He will answer them. He will be with them in trouble and deliver and honor them. With long life He will satisfy His true ones and show them His salvation. “Moses My servant is dead. Now therefore, arise, go over this Jordan, you and all this people, to the land which I am giving to them-the children of Israel. “Every place that the sole of your foot will tread upon I have given you, as I said to Moses. “From the wilderness and this Lebanon as far as the great river, the River Euphrates, all the land of the Hittites, and to the Great Sea toward the going down of the sun, shall be your territory. “No man shall be able to stand before you all the days of your life; as I was with Moses, so I will be with you. I will not leave you nor forsake you. “Be strong and of good courage, for to this people you shall divide as an inheritance the land which I swore to their fathers to give them. “Only be strong and very courageous, that you may observe to do according to all the law which Moses My servant commanded you; do not turn from it to the right hand or to the left, that you may prosper wherever you go. “This Book of the Law shall not depart from your mouth, but you shall meditate in it day and night, that you may observe to do according to all that is written in it. For then you will make your way prosperous, and then you will have good success. 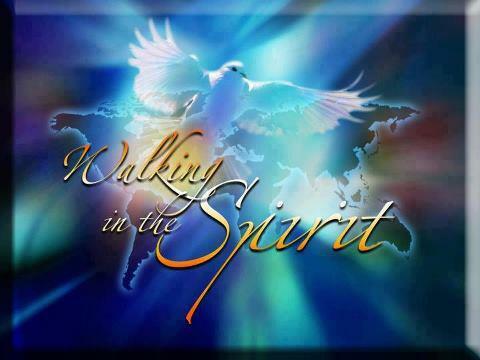 This entry was posted in WALTER'S WEB and tagged FULL GOSPEL, GIFTS OF THE SPIRIT, GOD'S PRESENCE, GOD'S PROMISES, MIRACLES, PROSPERITY, THE BAPTISM OF THE SPIRIT, WALTER KAMBULOW on November 30, 2012 by WALTHOPE. Jesus the epitome of love and character didn’t go around blessing people with words. He didn’t bless the religious and political leaders of His day but cursed them. ‘Woe to you’ doesn’t mean something good is going to happen to you especially when spoken by God incarnate. He called them all kinds of names including hypocrites, murderers, serpents, brood of vipers, liars, blind guides, sons of hell, etc. He told them they would not escape the condemnation of hell (Matthew 23:15, 33, Luke 11:24-25, 23:38-31) and they didn’t! The Word of God tells us in Isaiah 11:1-5 that Jesus was totally dependent on the Holy Spirit to lead, guide, direct, help and anoint Him, as well as to do the miracles. The power of the Lord was present to heal all (Luke 4:18, 5:17). Everyone who came to Jesus was healed by Him! He had a perfect track record in the area of healing. He unlike others never made an excuse why some were not healed. He didn’t collect the names of people who were healed to show them off or to build a mass mailing list, or see and use them as usable commodities as some Christian ministries do? Jesus’ anointing was unlimited or without measure for the purposes of healing and delivering all that came to Him. And we can all have the same anointing for all that belong to Jesus belongs to the Father, and what belong to the Father belongs to Jesus and what belongs to Jesus belongs to us (John 16; 14-15)? And this includes Paul, Apollos and others. a. The way of Cain: Cain’s story is found in Genesis 4. There, we find that each of the sons of Adam and Eve brought an offering to the Lord. Cain (being a farmer) brought an offering from his harvest. Abel (being a shepherd) brought an offering from his flocks. God accepted Abel’s offering, but not Cain’s. i. Many people assume that because Abel brought a blood sacrifice and Cain brought a grain sacrifice, that the difference between the two offerings was sacrificial blood. 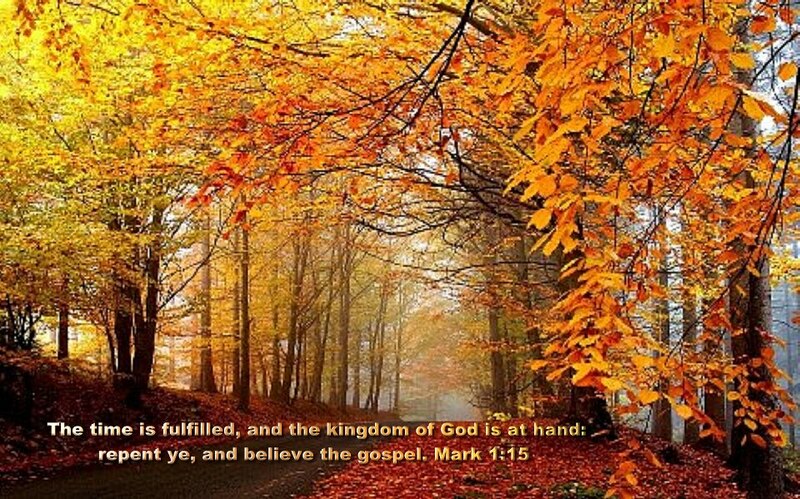 But the real difference was between faith and unbelief. ii. Hebrews 11:4 makes this plain: By faith Abel offered to God a more excellent sacrifice than Cain, through which he obtained witness that he was righteous, God testifying of his gifts; and through it he being dead still speaks. iii. Cain’s sacrifice was probably more pleasing to the senses than the carcass of a dead lamb. But his sacrifice was offered without faith, and therefore it was unacceptable to God. You can give to God whatever you have, or whatever you are, but you must offer it in faith. b. Genesis 4:5 says that after God rejected his sacrifice, Cain was very angry, and his countenance fell. He became angry because he knew he was rejected by God. In a fit of anger Cain murdered Abel, and then he lied about it to God. i. There is no greater curse on the earth than empty, vain religion; those having a form of godliness but denying its power. (2 Timothy 3:5) No wonder Paul added, and from such people turn away! ii. Many Christians are deathly afraid of “secular humanism” or atheism or the world. But dead religion is far more dangerous, and sends more people to hell than anything else! These certain men were in the way of Cain. This entry was posted in WALTER'S WEB and tagged THE WAY OF CAIN, WALTER KAMBULOW on November 29, 2012 by WALTHOPE. Acts 8:5 Then Philip went down to the city of Samaria and preached Christ to them.them to prison. 6 And the multitudes with one accord heeded the things spoken by Philip, hearing and seeing the miracles which he did. 7 For unclean spirits, crying with a loud voice, came out of many who were possessed; and many who were paralyzed and lame were healed. 8 And there was great joy in that city. 2 Corinthians 7:9 Now I rejoice, not that you were made sorry, but that your sorrow led to repentance. For you were made sorry in a godly manner, that you might suffer loss from us in nothing. This practice of selling “spiritual things” has a name for such spiritual fraud: “Simony”. It comes from Acts 8, where Simon the Magician offered to Pay Peter and John to pray with them to receive the Holy Spirit. He obviously saw a lot of entertainment value. It was a practice in some churches “of the buying and selling sacred of spiritual things, as ecclesiastical pardons, church offices etc.” Simon the magician who had amazed Samaria with his entertainment saw some real financial possibilities here when he watched Peter and John praying with people to receive the Holy Spirit, just like these kind of preachers or whatever they call themselves. This practice shows us where such people are at: “For the love of money is the root of all evils; it is through t his craving that some have wandered away from the faith and pierced their heart with many pangs (pains)” (1 Tim. 6: 10). These people have sold themselves to hell. These people have become the modern Scribes, Pharisees and Sadducees, to whom Jesus said, “You are wrong because you know neither the Scriptures nor the power of God (Matt. 22: 29). They have sold themselves cheaply to the devil. This entry was posted in WALTER'S WEB and tagged BENNY HINN, BILL JOHNSON, Cindy Jacobs, FAITH, FALSE PROPHETS, FULL GOSPEL, GIFTS OF THE SPIRIT, GORDON WILLIAMS, joshua mills, Judy Jacobs, Karen Wheaton, Marcus Lamb, Marilyn Hickey, mike bickle, Morris Cerullo, RICK JOYNER, RICK WARREN, THE BAPTISM OF THE SPIRIT, THIRD WAVE, TODD BENTLEY, WALTER KAMBULOW on November 25, 2012 by WALTHOPE. Obadiah.vs.17; Zech.4:6-7. The Lord is telling us today that whatever mountain that stands between you and your possessions will be brought low. Once again the Lord is sending Obadiah whose name means God’s servant unto you with this message of hope and comfort. Vs.17 ‘AND UPON MOUNT ZION SHALL BE DELIVERANCE, AND THERE SHALL BE HOLINESS AND THE HOUSE OF JACOB SHALL POSSESS THEIR POSSESSIONS’ tonight you are going to possess your possessions. To deliver means to be set free, to save from danger, to be saved from sin; to be rescued from sickness, diseases, death, infirmities and all evils. Obadiah.vs.17; Jer.15:20-21; Gal.1:4; Isaiah.45:22; 2Cor.1:10; Jer.39:17-18; Isaiah.43:1-2; Jer.1:17-19; Isaiah.54:14-17; Numb.23:19-23. Ps.91:1-16. Why is the Lord promising us deliverance? Because you cannot be in Egypt and possess Canaan Land which is the Land of promise. There must be deliverance from sin before you can get to the land of holiness righteousness and sanctification. You must be delivered from the land of sickness, diseases and infirmity before you can possess the land of good health. The Lord wants you to quit the land of spiritual weakness, lukewarmness and prayerlessness and to possess the land of spiritual revival, vitality and fervency. Obadiah.vs.17; Joel.2:32; John.19:28-30; Mt.27:50-51; Ps.68:18-19; Eph.4:7-15. The place of deliverance, which is mount Zion the city of the King, where the Saviour paid the greatest price for our deliverance and freedom many a times casual readers of the bible and religious people do not fully understand what happened on the cross when Jesus died there. 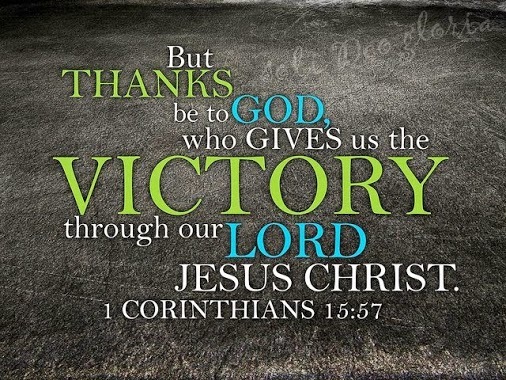 They don’t understand the great victory that Christ secured for the believers children of God and the great gifts that come to us as a result of what happened on the cross. This night God is bringing a great revelation to you. If you understand very well the ancient history whenever the kings in those day goes out for battle against the enemy Nation all the women, children and the older people will be waiting for them and whenever they conquer the enemy nation they will carry their properties and all they have to their own nation it is called the spoil of war and when they came back they will distribute some of them to the people waiting at home. That is what Jesus did for us the greatest battle was fought on the cross of Calvary and Jesus defeated the devil and his host now He has brought the spoils of war and He is given gifts to men. And till today He is still given the gifts these includes salvation, sanctification, Holy Ghost baptism, Healing and deliverance, the gifts of the Spirit etc. Whatever you need is available come by faith and receives. This entry was posted in WALTER'S WEB on November 19, 2012 by WALTHOPE. Then the Philistines went and made a raid on the Valley of Rephaim. And David inquired of God, saying, “Shall I go up against the Philistines? Will You deliver them into my hand?” And the LORD said to him, “Go up, for I will deliver them into your hand.” So they went up to Baal Perazim, and David defeated them there. Then David said, “God has broken through my enemies by my hand like a breakthrough of water.” Therefore they called the name of that place Baal Perazim. And when they left their gods there, David gave a commandment, and they were burned with fire. David secret was that in time of trouble he would inquire of God what to do. And God would tell him what to do to have the victory. As a result of his obedience and faith, something supernatural happened on that battlefield. David described it as the power of God or the anointing of God coming on the scene like the breaking forth of waters. It was like a flood that could not be contained. This entry was posted in WALTER'S WEB and tagged DAVID, FULL GOSPEL, He Vanquished Them, VICTORY, WALTER KAMBULOW, WORD OF FAITH on November 14, 2012 by WALTHOPE. This entry was posted in WALTER'S WEB and tagged HOLY SPIRIT, THE FLESH, TONGUES, WALTER KAMBULOW, WORD OF FAITH on November 6, 2012 by WALTHOPE.